25 FT. X 25 FT. - This beautiful suite has a view of the Cahas Mountain that will take your breath away. 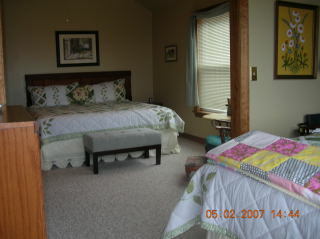 The room itself has a happy and sunny feel and offers a king sized bed and a separated full bed. 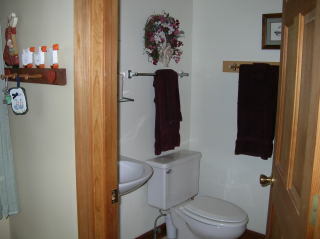 It's pretty bathroom offers its own Jacuzzi tub. 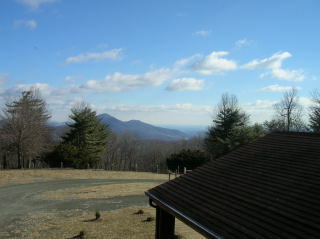 SUNNY VIEW OF CAHAS MOUNTAIN FROM WILDFLOWER SUITE. 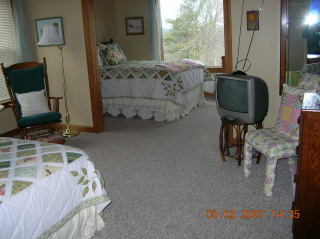 VIEW FROM FULL BED AREA INTO KING BED AREA. VIEW COMING INTO WILDFLOWER SUITE. 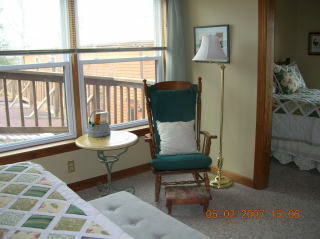 TIME TO RELAX IN WILDFLOWER SUITE..